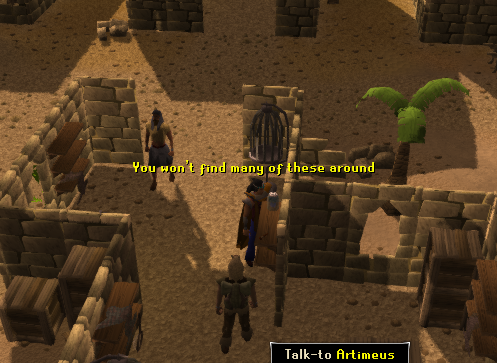 Have you heard of this town? If not, that's not much of a surprise. Although it's not the most famous town, it has a lot to offer and there is a lot of history behind it. For instance, it was created when it's founder collapsed of thirst from drought and when he prayed to a Menaphite goddess, she created an oasis that we know today as Nardah. 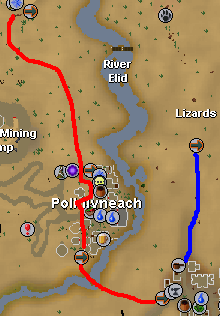 There are two ways to get to the city, shown on the below map. Take a carpet ride from the Shanty Pass to Pollnivneach and then from Pollnivneach to Nardah. This path requires you to have at least started the Fairy Tale Part II: Cure a Queen Quest and been introduced to the Fairy Rings. Use the fairy ring code "DLQ" and walk south to the city. Here are all the things Nardah has to offer. This is the center of the town. 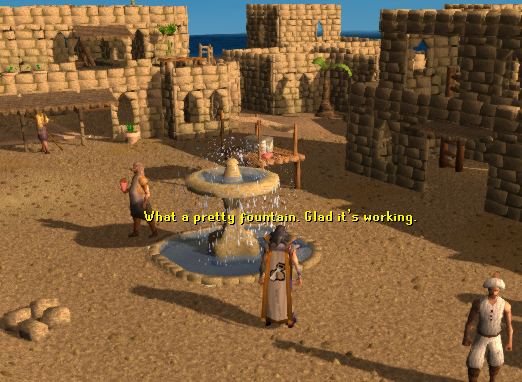 The town has been cursed with no water. 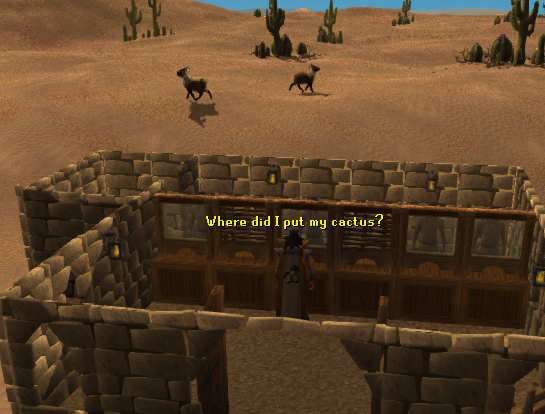 This can be fixed by doing the Spirits of the Elid quest. Zahur is the herbalist of the town. 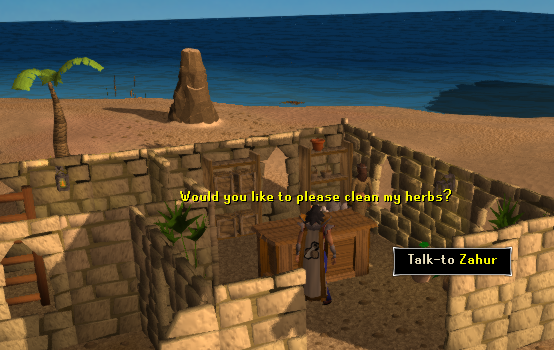 She will clean herbs that you can't clean for 200gp each. 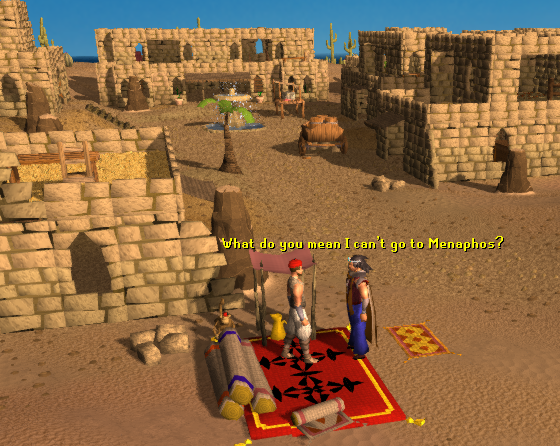 The rug merchant in Nardah will take you back to Pollnivneach for 200gp. 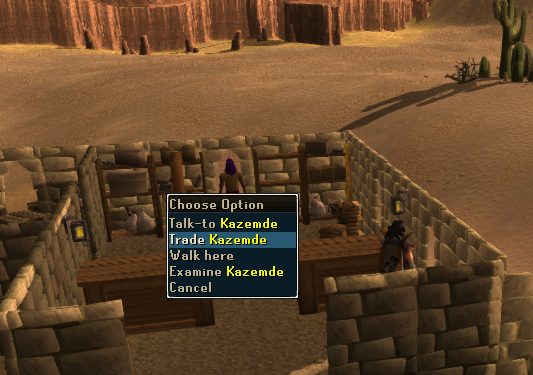 This is where you can bank or withdraw your items. It is one of the only two banks after Shantay's past (other being Sophanem). This is where the mayor is located. 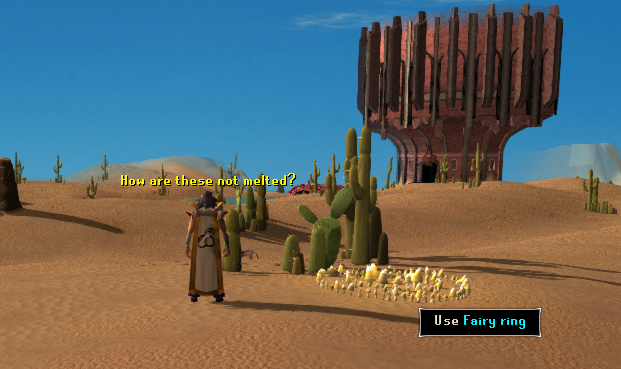 It is the start point of the Spirits of the Elid quest. 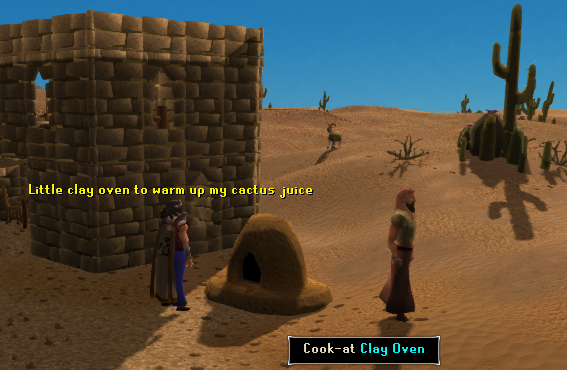 This small clay oven is for cooking food. 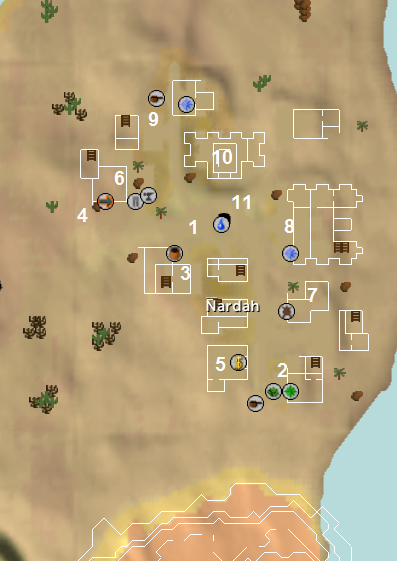 The central place of worship for the people of Nardah. 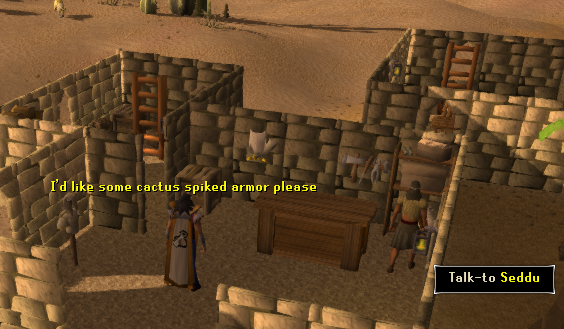 He sells water for 1000gp. 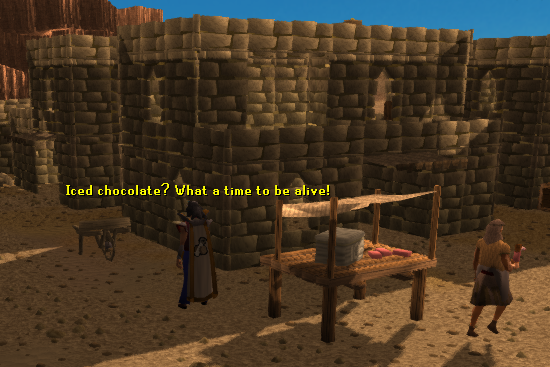 He is the mayor of the town and the start of the Spirits of the Elid quest.